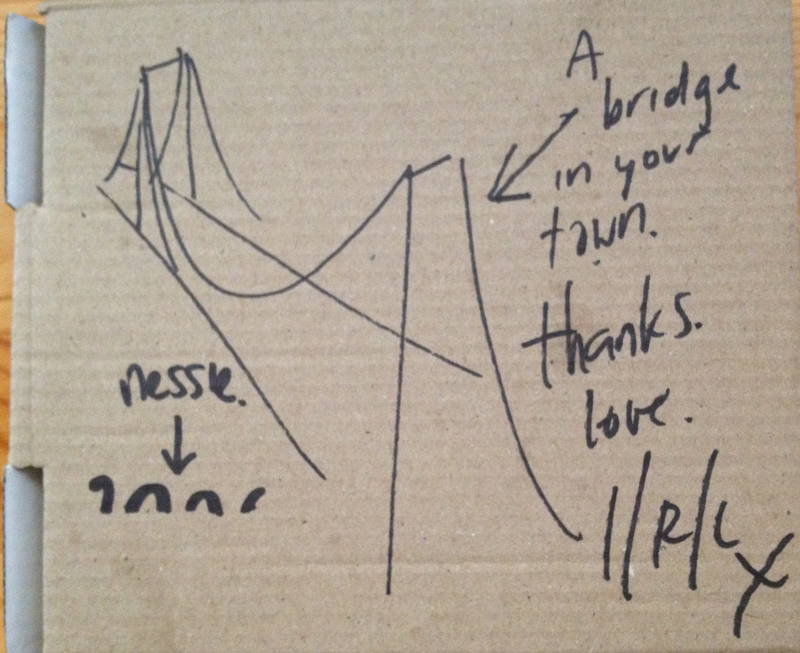 I keep this basket of signed or otherwise personalized items including the cardboard CD mailer that ‘Open Your Lungs and Breathe’ was shipped in; which has a lovely sketch of the Golden Gate Bridge with a wee Nessie swimming below. As it turns out that sketch, predating our blog, was the spark that first had us envisioning creating a link between San Francisco and Scotland. Not only that, it was also the direct inspiration for our masthead logo. Long overdue thanks are in order. For whatever reason, I’ve never gotten around to including I/R/L on to the ‘roster’ of bands we champion. Could you explain the band name origin or significance? Admittedly, I have not listened to the debut for a little while. Listening to it now, I’m struck by how much better it sounds than I seem to remember. I’ve spent a bit of time trying to figure out just why Scottish artists are so sonically appealing to me. For I/R/L, it seems to be the case of adding something uniquely yours while incorporating a good deal of what is going on around you. If the band were to have a mission statement what would it be? Who would you cite as your musical influences? Is the song ‘Break Us Both’ one of the songs that will end up on the next record? Do you have any other snippets floating around? Since I saw Midge Ure the other night, I’ll ask, if tasked to do so – what Ultravox cover would you do? Miaoux Miaoux, Maple Leaves, French Wives, Pablo, RM Hubbert, Gogobot, Lord Cut Glass, Divorce, Indian Red Lopez, Copy Haho, Drums of Death. Rather impressive company. Have you heard any of the other releases? If so, what did you think? What does IndianRedLopez hope to achieve in 2013? 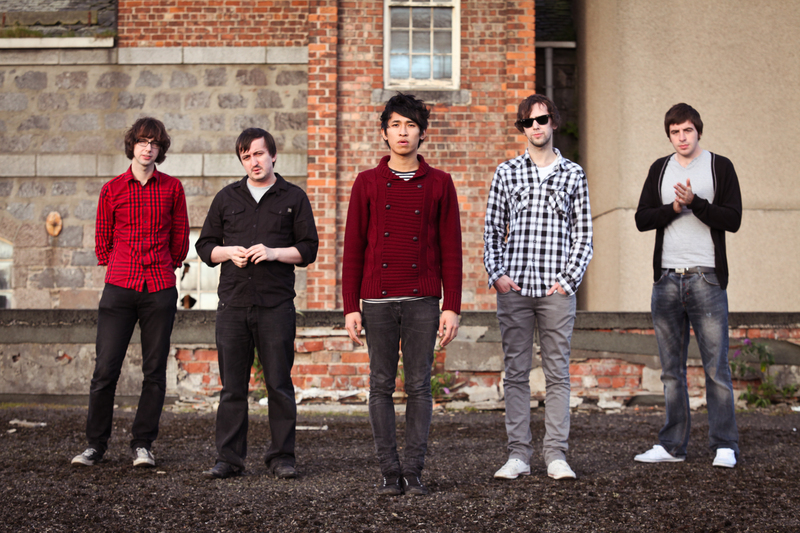 Apparently, Copy Haho are an Aberdeen band as well. My introduction to them came courtesy of the Sky Larkin bassist sporting one of their t-shirts at a SF show. Are there any other ‘local’ bands we should be looking out for? Come to think of it, have you ever discovered a band from someone’s t-shirt? I’ve written these questions rather quickly, on purpose, to break a bit of writer’s block on this end. How does the song writing process work in the band? Is there any truth to the ‘sophomore slump’? Finally, can we look forward to a release by year’s end? Naturally our banner is currently in the shop so go and watch ‘Ropes‘. This entry was posted in Bands We've Chatted With and tagged Indian Red Lopez.